I'm very excited to say that the Permanent Style Presents pop-up shop will be back this winter, opening in two weeks on November 15th. We've switched approach slightly, using a slightly smaller space but staying open much longer (5 weeks) - so hopefully no one will miss out, even those coming from abroad. The location is 37 Savile Row, next door to where we were last time, and the old home of Kathryn Sargent on the Row. In here there will be space for three or four brands on rotation at any time - alongside products from Permanent Style and J Girdwood. 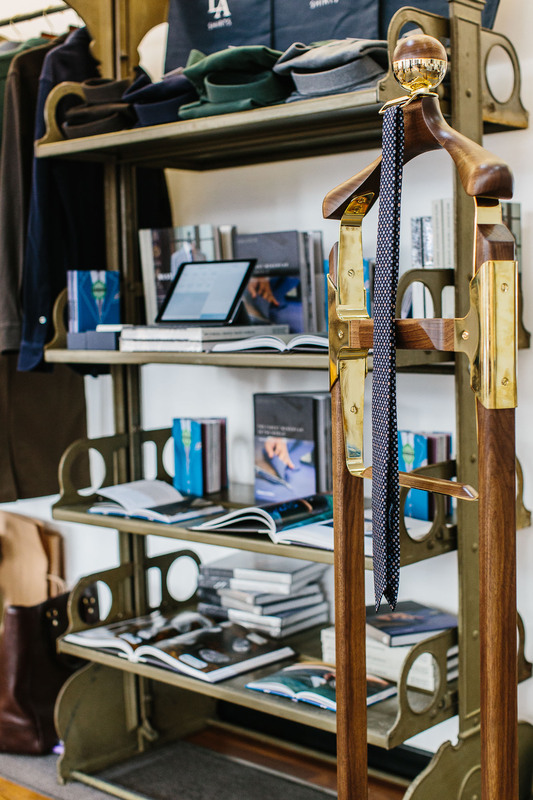 We will open with three of our favourites from the Spring: Luca Faloni, Baudoin & Lange, and Fox Brothers. 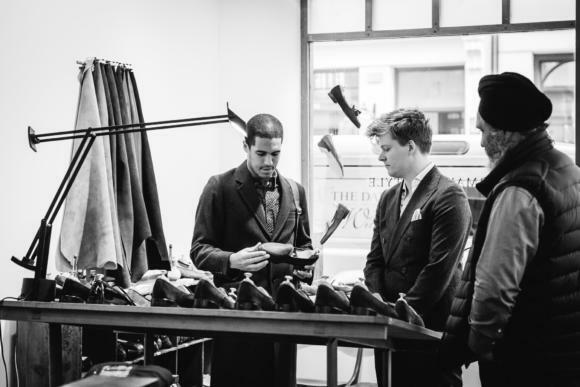 Luca was such a big draw, and is particularly suited to the winter with his big range of cashmere; Allan and Bo from B&L will have their beautiful slip-ons on display; and Fox will be bringing back its archive cloth and Merchant Fox pieces. These three will be available for the first two weeks, November 15th to November 26th (Wednesday to Sunday). Then, for weeks three and four, we bring in The Rake, The Armoury, Drop 93, Begg & Co and Edward Sexton. and those weeks will see Begg & Co first, swapping to Edward Sexton's ready-to-wear after. A final, fifth week will change again, bringing in Shibumi ties and accessories from Florence, casual brand The Workers Club, and British cufflink specialists Codis Maya. We will also be featuring furniture from the wonderful Honorific London, and Mantas will be helping in the shop the last two weeks. The full timetable is below. It feels like we've squeezed so much great stuff in this time - as before, all of which you cannot buy retail in London at the moment. I know readers will find it hard to come and see everyone - every week - but do try! We will also be holding a small opening party, as last time, on Wednesday November 15th. Put it in your diary. The Spring pop-up was such a success - for us, for the brands, for readers that came in and told us. And it was so much fun. The soundtrack will be James's rock steady selection. I'm bopping already. You can follow the discussion on The Pop-Up Shop is back! by entering your email address in the box below. You will then receive an email every time a new comment is added. These will also contain a link to a page where you can stop the alerts, and remove all of your related data from the site. Sounds great. Would like to visit, but the tyranny of distance precludes this. Honorific is a good inclusion – I have their original valet stand and it is superb. Great to hear its back, and also happy with the opening hours & Sat/Sun opening. Realise things are different when its permanent to a popup but opening hours of Drakes/ A&S Haberdashary etc are the reason I only own what I do. Pity the shop is only big enough to support 3 brands, realistically will only be able to come once so won’t get to see most of the brands. Thanks Bob. Yes, it’s hard just having that space. The upside is I think everyone will be able to come at some point during its tenure – and we can feature more brands overall. Look forward to seeing you – I’ll be managing on Sunday so do come and say hello! Will you be stocking any of the PS denim products, either the cloth or the shirts? Unfortunately not, as the cloth is sold out now and there are only XLs left in the shirts. We will, however, be launching our new Friday Polos exclusively in the shop – as we did with the knitwear last time. There will also our bag collab, which launches next week, and one more than will launch during the tenure of the shop. Anyway – see you soon. Are you only around on the Sundays? Also curious on the result of the tailoring as it sounded like it is a much more “evolved” MTM than most out there (given number of measurements!) and I found the finishing of the Napoli line very nice (arguably better than many Napolitean bespoke garments I have seen). Simon, any possibility of opening a pop-up in New York City in the future? New York City has an unfortunate scarcity of such wonderful products. We’re certainly looking at it Michael. The problem is it’s a lot more expensive because everyone (brands, myself and other staff) would suddenly have to pay accommodation for that whole period – whereas at the moment most are based in London. I see that Shibumi is expanding into tailoring. Do you know anything about the quality of their napolitan bespoke service? Thats great news Simon, looking forward to coming along to the opening. Plane ticket bought! Will be there on the first Saturday! Hope to see you there! Amazing, look forward to seeing you! Hi Simon, will the bag collab be made available online? I have been meaning to say this for a while but as we approach the end of the year I just thought I would like to say what I am sure many PS readers feel. I think this year has been the best in the history of the site. I came in during the early days of your experiments with GB and have seen the growth and depth of the site with great joy. Not only that I think the writing is better (and it was never bad) and the breadth of things you cover is superb. A lot of blogs start to get a bit tired after a while (what has happened to English Cut for example – though I know Thomas has more important fish to fry at the moment) but you just go from strength to strength. Add to that the pop up shop and the online shop and you have become a very important part of my sartorial scene. While I don’t agree with everything you write or would wear everything you offer it is never less than interesting. And with two more months to go and from what you write two more collaborations to wait for I really do think you are going to have to go some to make 2018 even better. And I have no doubt, assuming you keep away from dodgy cardigans, you will do it. That’s so lovely to hear, thank you. It’s what I always hope for, and strive for, but it’s really nice to know you think it succeeds – particularly in the breadth of things we are doing, while keeping the writing really strong. What is the bag collab?! Have been considering ordering a Bennett Winch weekender. Should I wait? Look forward to visiting. Will the Honorific furniture be there to view the whole time? 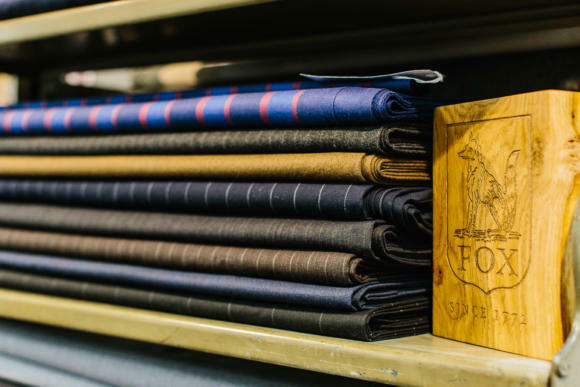 I’ve been really impressed with online pics I’ve seen of the valets and would love to time my visit to the shop where I can see in person. Keen to see the new Friday polos too! For those of us in the USA have you thought about offering these pieces online? 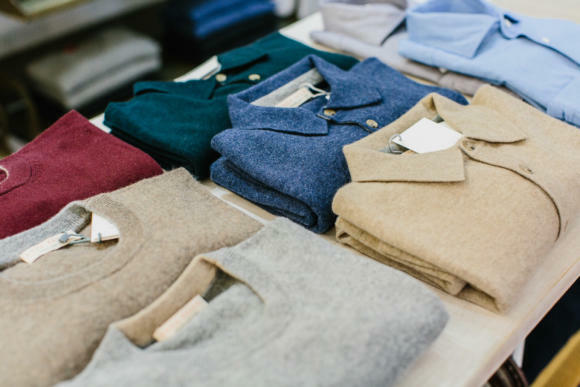 Your ability to curate makes it much easier to shop. Thanks Gary. You mean the pieces from the various retailers coming to the shop? For the moment no – most of them are already online and I would rather try to produce something original rather than just aggregate. But I can certainly point everyone towards the websites from all of the brands to buy everything. 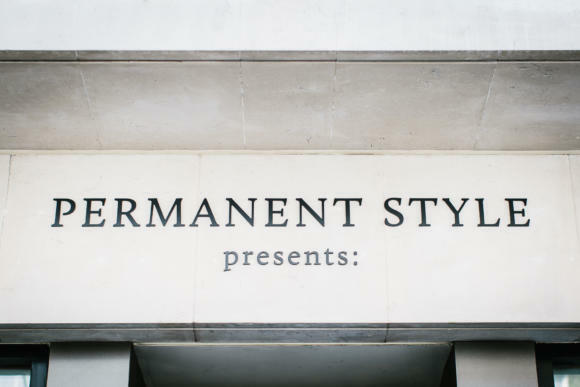 The whole of Permanent Style is a curation of that sort I guess. I suspect this will be when I finally pull the trigger on buying some of Luca’s cashmere knitwear. The J Girdwood socks I picked up at the last pop-up were absolutely superb, so I’m hoping to see more of those there this time as well. Looking forward to it. But eventually the polos will be available for those of us not visiting? If so, when? Yes – just a week or so later. It’s nice to have something exclusive to the shop for a little bit. Understandable. Is it OK to ask whether there will be any brown option? No, sorry. We’re bringing back the white and dropping the brown, for this round. At the risk of taking up blog space, I’m flying from Honolulu and land at Heathrow about noon Sunday and will make it a point to come by once settled in the City. Looking forward to seeing the great items in person and hope to run into you there. Thanks David, really nice to hear. And good point on the window, noted. Dear Simon. Would you stock PS finest knitwear at pop up store ? Yes, we have most of the remaining pieces in the pop up.